IRAN – The water desalination facility of Bandar Abbas in Hormozgan Province will complete its first development phase in July, according to the governor general of the province. The plant will initially produce 20,000 m3/day and eventually reach a capacity of 100,000 m3 per day. Since 2014 a total of twenty desalination units with capacities of 30,000 m3/d have been constructed in the province. An additional fifteen units with capacities of 20,000 m3/d are still under construction. SINGAPORE – The Tuas III Desalination Plant (TDP) officially opened last week. 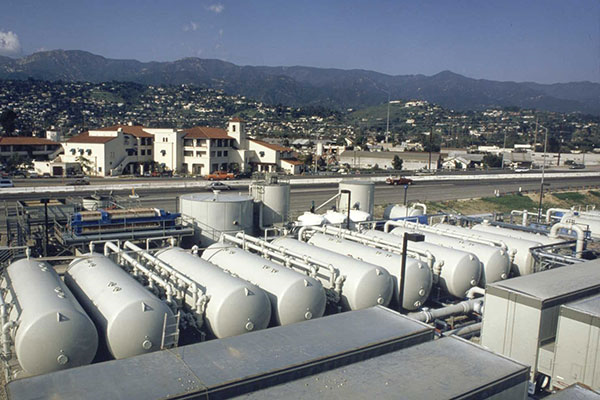 It is operated by the Public Utilities Board and has a production capacity of 136,000 m3 per day. TDP is the first desalination plant in Singapore utilizing a pre-treatment process that combines DAF and UF pretreatment to address fouling in seawater of varying water quality. More than half of the plant’s roof surface will be used for a 1.2 MWp solar photovoltaic (PV) system that will be able to generate 1.4 million kWh of clean energy to help reduce the plant’s carbon footprint. 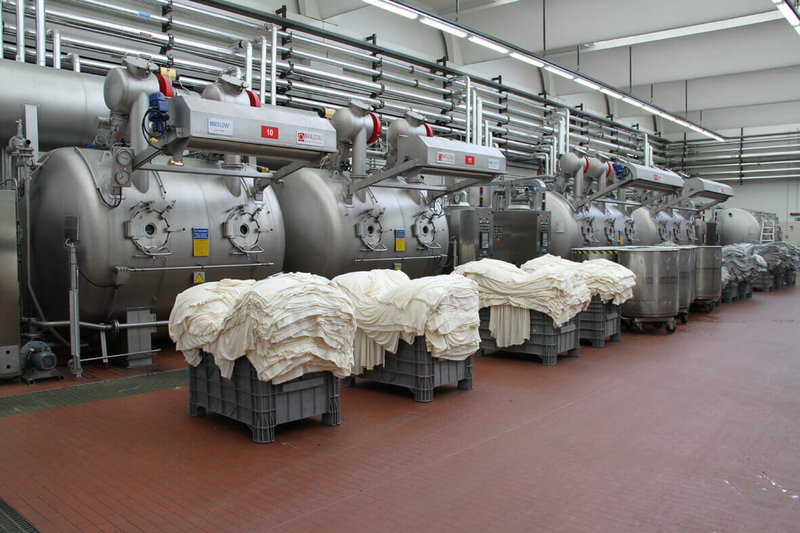 INDIA – A textile dying unit in the city of Tirupur found to be violating zero liquid discharge (ZLD) regulations has been disconnected from its power supply. The unit’s dedicated effluent treatment plant installed to meet discharge requirements had not been functioning properly, and the Tamil Nadu Generation and Distribution Corporation formally disconnected electricity to the unit at the suggestion of the Tamil Nadu Pollution Control Board (TNPCB). On Saturday the TNPCB’s Tirupur north division suggested shutting the dying unit down completely. The Madras High Court will decide on the fate of a tender for a 150,000 m3/d desalination plant at Nemmili on July 10. The tender process was initially brought forward by the Chennai Metropolitan Water Supply and Sewerage board in November 2016. It has been extended multiple times since the initial notification and various bids were rejected. Following a visit by Gujarat Chief Minister Vijay Rupani to the Dan Region Waste Water Treatment Plant at Shafdan, Israel, the state of Gujarat has sought technical assistance from Israel in setting up ten desalination units along its 1600 kilometre long coast line . “Bandar Abbas to Complete First Phase of Desalination Unit in July”, financialtribune.com, July 2, 2018. <https://financialtribune.com/articles/energy/89027/bandar-abbas-to-complete-first-phase-of-desalination-unit-in-july> accessed July 3, 2018. “Singapore’s third desalination plant starts operations”, sbr.com.sg, June 29, 2018. <https://sbr.com.sg/utilities/news/singapores-third-desalination-plant-starts-operations> accessed July 3, 2018. “Electricity to polluting dying unit disconnected”, indiatimes.com, July 2, 2018. <https://timesofindia.indiatimes.com/city/coimbatore/electricity-to-polluting-dyeing-unit-disconnected/articleshow/64819819.cms> accessed July 3, 2018. “HC to decide fate of tenders for desalination plant”, thehindu.com, July 2, 2018. <https://www.thehindu.com/news/cities/chennai/hc-to-decide-fate-of-tender-for-desalination-plant/article24306919.ece> accessed July 3, 2018. “Desalination plants: Guj seeks Israel’s help”, indiatimes.com, June 28, 2018. <https://ahmedabadmirror.indiatimes.com/ahmedabad/others/desalination-plants-guj-seeks-israels-help/articleshow/64769262.cms> accessed July 3, 2018.